Copyright Notice: © Paws. All Rights Reserved. 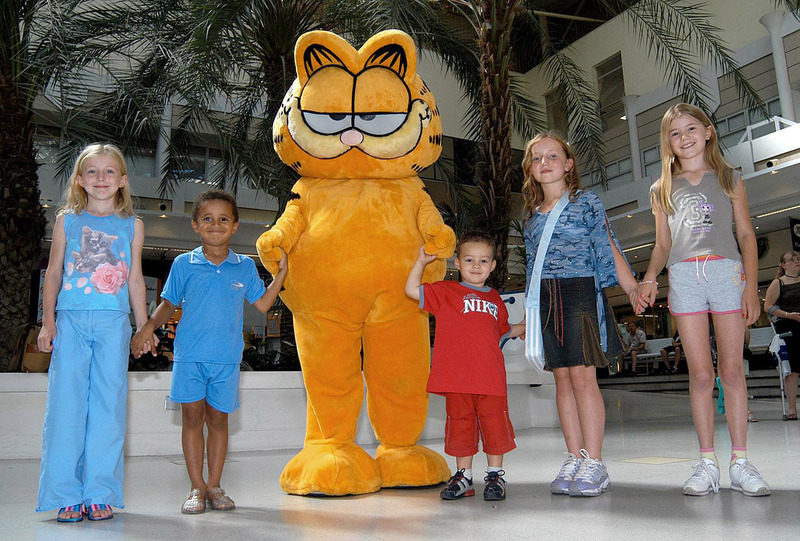 These are the official Garfield licensed characters, Garfield. 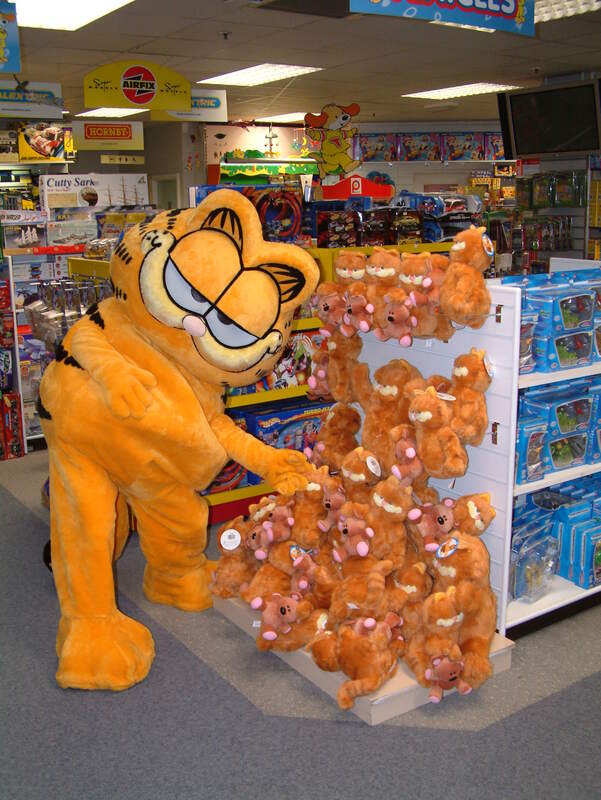 Rainbow Productions holds the UK’s official licence to manage the personal appearances of Garfield at public events on behalf of the brand owner. Garfield, the creation of American cartoonist Jim Davis, is the principal character in the humorous strip of the same name. A tubby tabby cat born in the kitchen of Mama Leoni’s Italian restaurant, Garfield instantly developed a love of lasagne and pizza. Far from the chirpy protagonists of many comic strips, Garfield revels in pessimism and cynicism. He enjoys ridiculing his owner Jon with snide comments and irritating the mailman. Garfield does however have a soft side which is reserved for his teddy bear, Pooky. Garfield has appeared in thousands of cartoon strips over the years and in 2004 even had his own feature length film, in which he was voiced by the formidable Bill Murray. Garfield was born on the comics pages on June 19, 1978 and quickly became the fastest growing comic strip of all time. Garfield has long been considered a ‘classic’ or ‘evergreen’ property. ‘Garfield: The Movie’ was released in 2004 and a sequel – ‘Garfield: A Tail of Two Kittens’ was released in 2006. Garfield is one of Boomerang’s top-rating shows. The fourth series premiered in October 2015. Series five is in development. Nearly 2 million people see Garfield cartoons every day in the UK’s Daily Mail. Over 16million fans on Facebook. 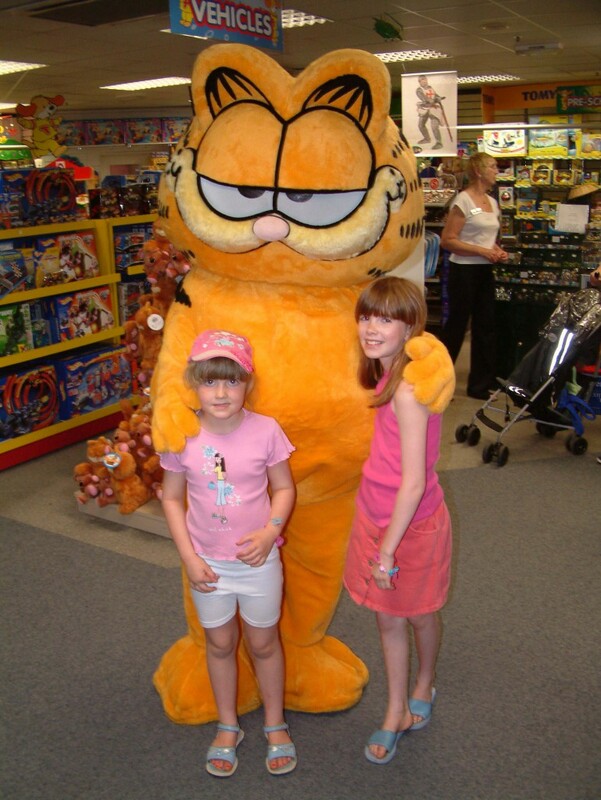 Mascot costume Garfield is available to attend UK events.